Bovine of Extra European origin, lightly buffed natural grain. Thickness 1.2 – 1.4 mm. Chrome tannage. The average size of each hide is around 4.8 – 5.0 sqm. Through dyed; finishing with resins and pigments. Article with a pigmented and protective coat, with a soft, waxy feel and semi-matt appearance. The Outline Chair & Sofa have generous proportions, with their wide and deep seat cushions. This amplitude is visually compensated by a very thin and airy structure. 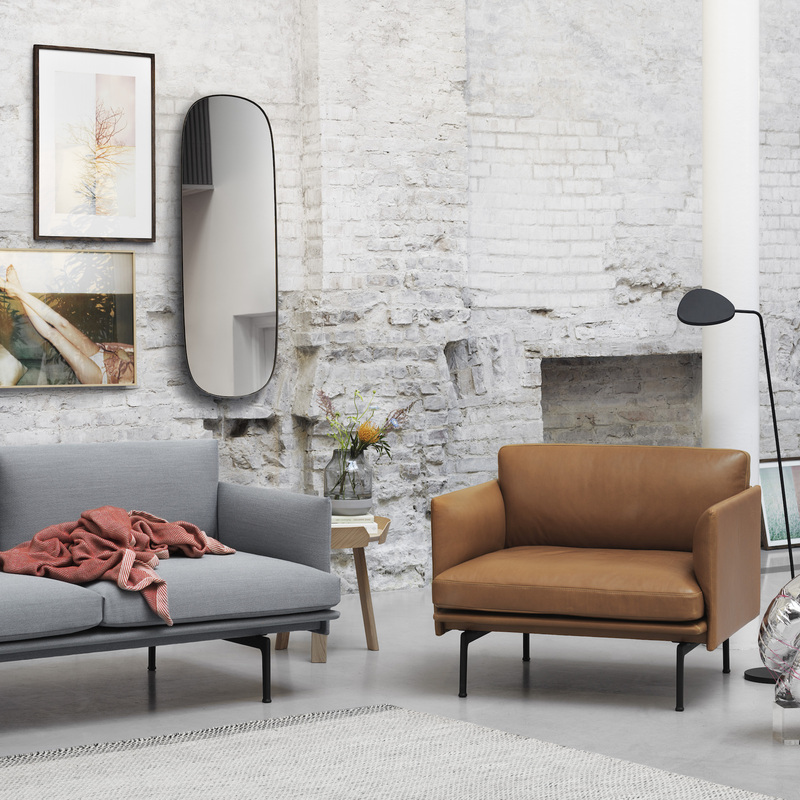 Muuto launched in 2017 a studio version of the chair and the 2-seater sofa, to suit small spaces. 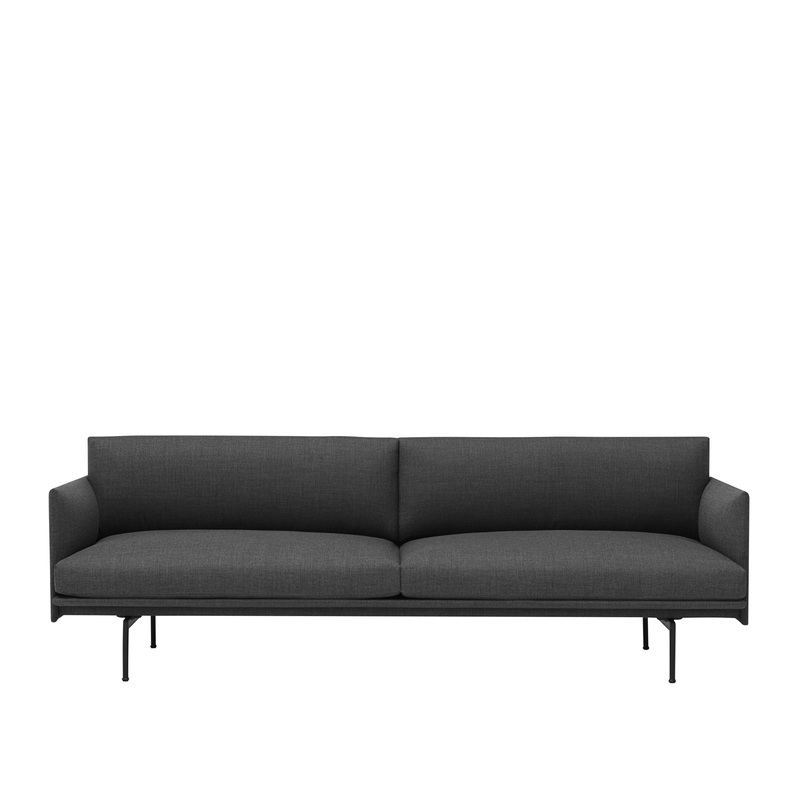 Available in 5 sizes – Studio chair, chair, Studio sofa, 2-seater and 3-seater sofas – and with a multitude of upholstery possibilities: Kvadrat fabrics, Arve fabrics, and Silk leather.